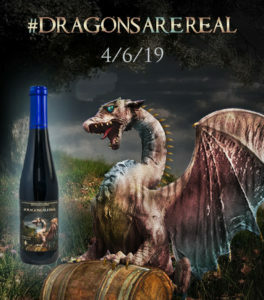 #Dragonsarereal is coming back just in time for the return of your favorite show about undead hordes, dire wolves, and dragons! Cherry chipotle mead aged in New Holland Brewing’s Dragon’s Milk barrels with cacao nibs. 375ml bottles and nitro pours will be available in our taproom on April 6th, beginning at 2 p.m. Bottle sales begin at 2 p.m.
Next Post: 2019 Spring MAYhem!